With due diligence, you'll be able to keep your little ones safe and sound from some of the less obvious dangers lurking in your home. As any parent can tell you, raising a child (or children!) can be both the hardest job you’ll ever have and the most rewarding. Unfortunately, children don’t come with instructions or a clear set of do’s and don’ts to assist in the day-to-day challenges parents face. Parenthood can be so hectic at times that it’s easy to overlook some of the less obvious safety hazards in the home. Our homes are full of safety hazards that can injure children. Most parents take their job very seriously, but accidents happen anyway. Many times, adults suffer from injuries and death at home as well. Know where the dangers are in your home, so that you may take steps to prevent those preventable accidents. In addition, if you’re visiting someone else’s home, then make sure to take notice of any hazards your small children need to avoid. The CDC has reported unintentional injuries are the leading cause of death for people ages 1 to 44, with over 52,000 reported deaths in 2015. With this list of hazards and tips, combined with some common sense, you will make your home much safer for your whole family. If you’re searching through houses for sale or are moving in right now, then use this list of the nine top safety hazards to stay on top of the hidden, lurking dangers in the new house. For both children and the elderly, accidental falls are a leading cause of preventable injuries and death. It’s always wise to secure exterior exits or doors leading to stairs. 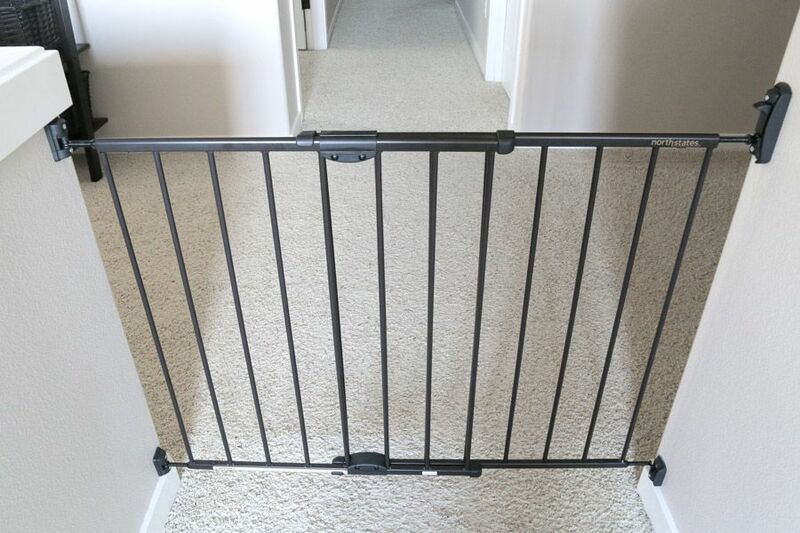 Use wall-mounted (NOT pressure-mounted) gates to block hallway stairs at the top and the bottom too. Stairs should have a non-slip surface to ensure traction when walking. It’s critical that stairs are always free of clutter. When opening windows in the house, only crack them a few inches (no more than 3-4) to prevent small children from climbing or falling out. If it’s possible, always open from the top if your window can do that. Traditional screens will not hold the weight of a child. Instead, screen guards can be installed, and they are easily removable in the case of an emergency. For most parents, this is a no-brainer. But it’s easy to get caught up in daily life and absentmindedly leave cleaning supplies in accessible places. Forgo the laziness or distraction, as the majority of these “miracle” cleaners have harsh and toxic chemicals that can induce all sorts of ailments in children, adults, and pets. Not to mention that fatalities and major injuries can happen when cleaners are swallowed or absorbed by the skin. 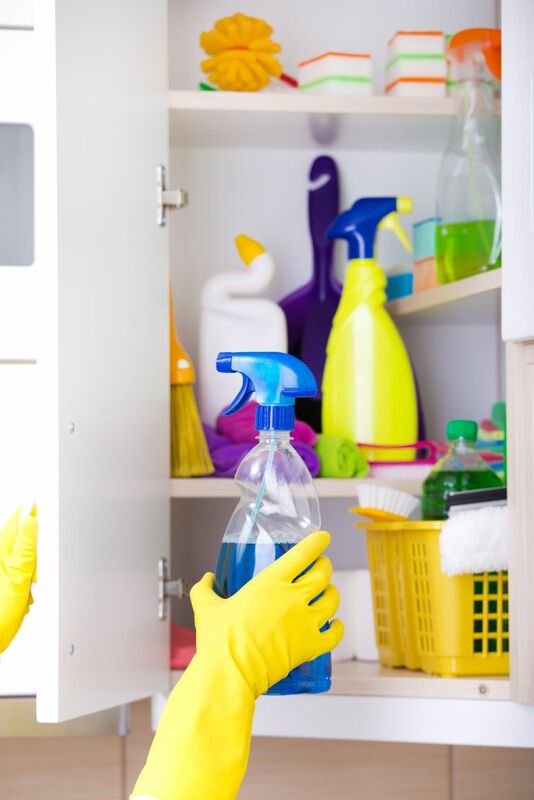 Ensure that any caustic cleaners are secured in a locked cabinet or a high shelf out of reach of little hands and paws, or you can store them outside the home. They should be placed high in a secure storage area. This includes the nifty laundry and dishwashing detergent pods that are so popular. These could be anything from household plants or flowers, to lawn and garden supplies, to makeup and personal hygiene products. It’s important to take stock of all these things to determine what might be dangerous and store them appropriately. Make sure the number to Poison Control is posted along with any other emergency contacts on your refrigerator and on every other floor in your home. Storing the number in your cell phone is highly recommended. These little coin sized batteries are used in a plethora of small devices these days. Found previously in hearing aids, they are now found in everything you have scattered around your house. 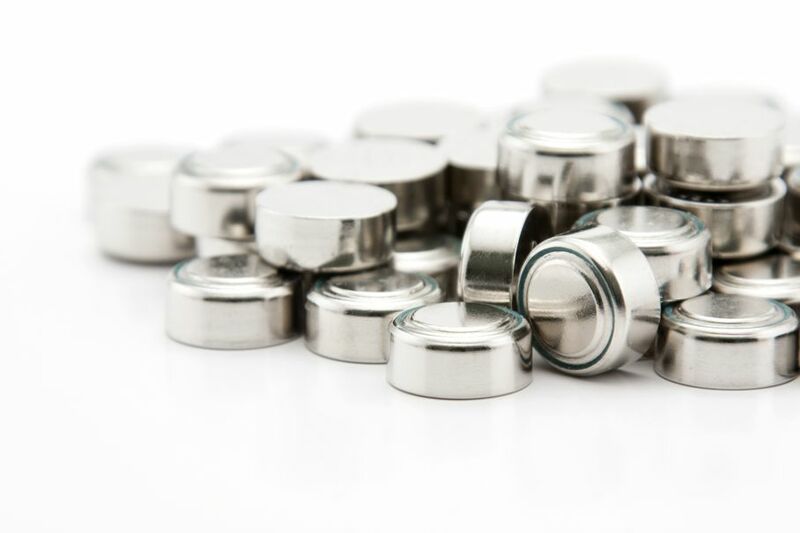 Handheld toys, remote controls, and even greeting cards have these shiny, tiny batteries. The shape and shininess can be tempting for young ones to play with, but are harmful if swallowed. The acid inside can cause severe damage to internal organs, and they can even lead to death if left unchecked. Whether table top or a floor model style, lamps are top-heavy, and it does not take much to tip one over. Adding to the danger of falling is the risk of being burned by a hot bulb or cut deeply by a broken one. There’s also risk of mercury exposure with broken fluorescent bulbs. Although hard to “secure,” most lamps can be moved to a safer spot. You can also prevent access to the room altogether to keep lamps out of reach from exploring toddlers. 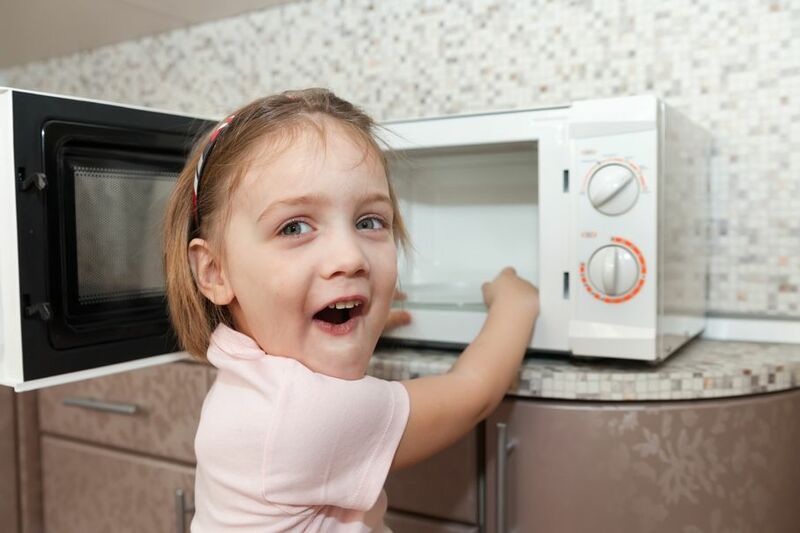 While using a microwave to heat up food or drinks may seem like a perfect shortcut for the kids, it’s just as dangerous as using the stove top. Microwaves can heat unevenly and cause extreme hot spots in food, leading to burns on the tongue or in the mouth. Also, every microwave oven is different. What may take 30 seconds in one, can easily take 90 seconds in another model. Putting foil or metal in a microwave can cause sparks or fire, and leaving food in there too long can cause a messy explosion. Microwaves placed over stop tops are high and children risk burning themselves by spilling liquids or hot foods on their head. It’s not only important to make sure your child is old enough to use one, but you need to ensure they are schooled on the do’s and don’ts of microwaves, plus be responsible enough to use kitchen appliances. Children are injured daily by falling furniture, whether it be a television, an appliance, or a dresser. Any piece of furniture can pose a threat to a child, so it’s imperative that these pieces be secured in order to prevent needless tragedy. Safety straps are available for nearly every type of heavy and tall furniture item. Furniture, TVs, and other pieces can be mounted to the wall or attached to something else to prevent any slippage or falling. This is extremely important for televisions, both the old bulky CRT ones and flat-screens. Make sure your TV is on a sturdy low stand and out of the way of foot traffic. Although the new flat screens are technically smaller, they are still very heavy and pose the same injury risks as their larger counterparts. Flat screen televisions are designed to be mounted to the wall with ease, which is clearly the safest solution for the little ones running around. Clothes dryers may be a fun place for a small child to crawl into (they think), but it’s not a toy by any means. 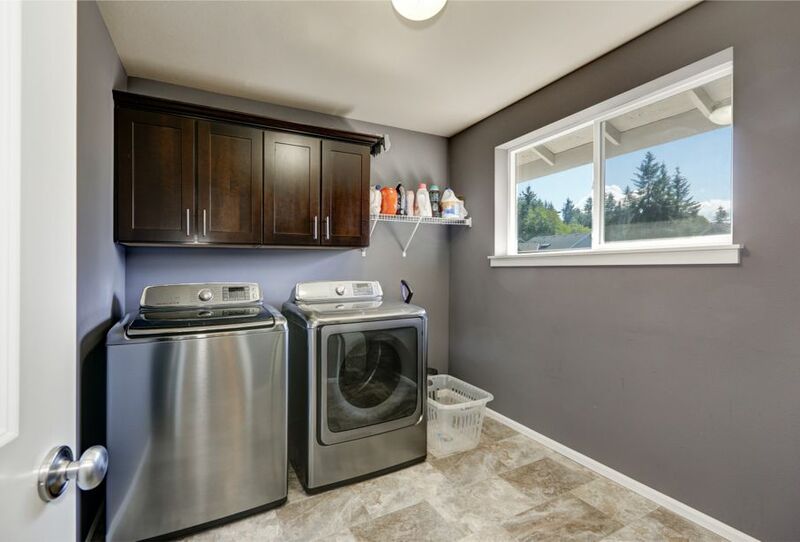 Children can get trapped inside or burned by the interior if the dryer has been running. Keep children away from appliances. Another commonly overlooked safety hazard is the refrigerator. Children are many times tempted to hang or swing on the door, quickly causing a tip over. Discarded refrigerators and freezers should have the door removed. Danger also lurks inside. Food borne illnesses can thrive in this environment. Germs like E. Coli, salmonella and listeria will flourish in the right conditions. Temperatures should be monitored so that all food is safe to eat, and regular cleaning and sanitation should be performed. There’s nothing worse for a parent than their child being involved in a preventable accident. 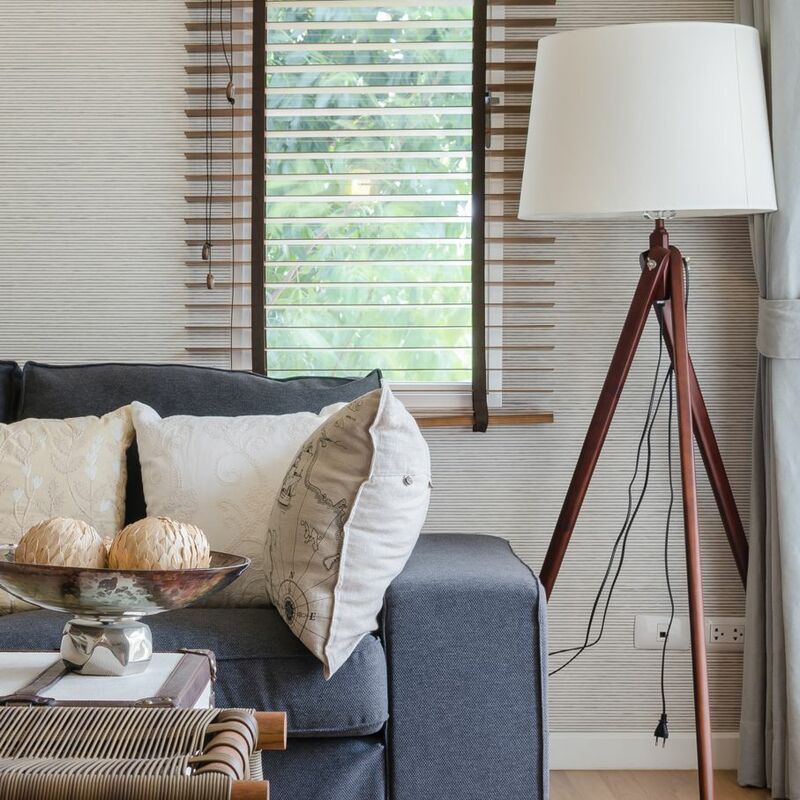 With these guidelines and house tips, you and your family will have the much-needed peace of mind to get throughout daily life in the home without a load of safety concerns. These tips are necessary to consider whether you’re looking for homes for sale (implement them all upon moving in) or you’re already settled in your house. With due diligence, you'll be able to keep your little ones safe and sound from some of the less obvious dangers lurking in your home.